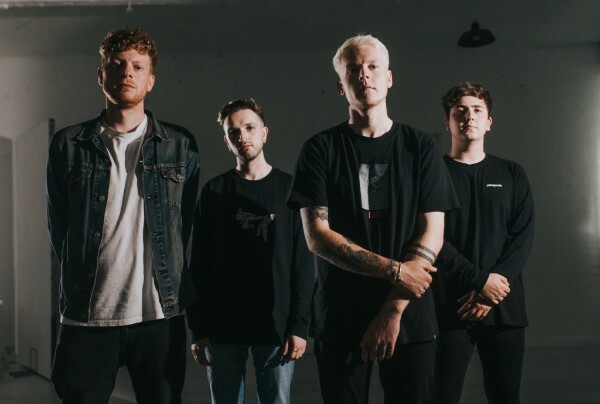 CATCH FIRE - Release New Single "Fault Line"
Nottingham, UK Alternative four-piece Catch Fire are spicing things up with their forthcoming debut album, "Karma Owes Me A Lifetime of Happiness", due out November 16th via Rude Records. The record was produced by Bob Cooper and mixed by Seth Henderson and was conceptualized when the band was trying to define and deal with a personification of the notion of Karma, or more importantly its absence. Drummer Ash Wain expanded by stating: "I have always struggled to believe in this idea that what goes around comes around, because for the most part all I see are bad things happening to good people. It's a nice idea on paper, and I think that more than anything, it's a way for people to deal with what comes next after we're gone, but I'll believe it when I see it". The band had this to say about the single release: “Fault Line was the second track that we wrote for [Karma]. It’s one of our favourites off the record, mainly because the instrumentation is really interesting. It marks a point on the album where the pace picks up slightly, and introduces a new vibe after Petrifaction and Malignance. It has a samba feel to it and lots of groove; sonically it is lighter, but the lyrical content remains relatively dark throughout. It’s also the first ‘proper’ introduction to Jordan’s (bass) vocals. He has a ton of spots on the record, and it’s about time you heard some. We’re all really excited to play it live already”, the band explains. “It’s titled Fault Line because the song is about feeling fragile and like at any moment you’re going to detonate. A Fault Line in the Earth is where an earthquake is likely to occur due to a fracture, so it’s a metaphor for that really. It also deals with depression, vulnerability and helplessness. ‘How do you escape when you don’t know what you’re running from?’ is a feeling I often endure. I’m often low without knowing why, or how to make myself feel better, and that’s what this song is about”. Fans can enjoy three additional tracks off the forthcoming record, including: "Heist", "Malignance", and "Petrifaction". The album follows the 2016 EP, "The Distance I Am From You" and 2017's, "Love That I Still Miss", which also released on Rude Records. 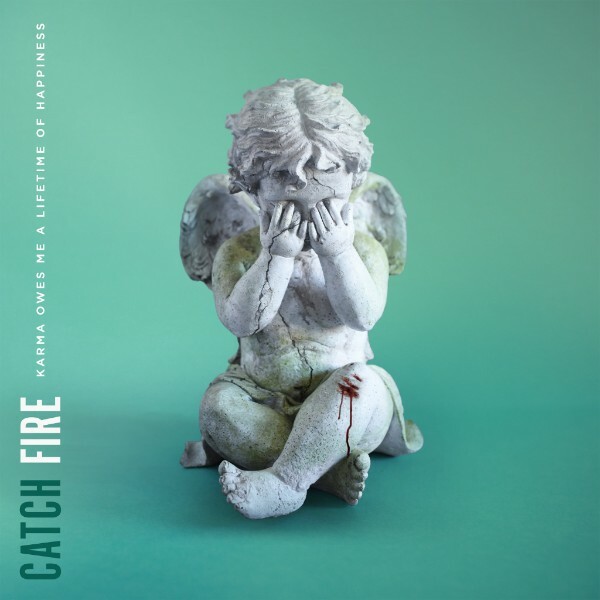 These releases fueled a formidable touring schedule for Catch Fire, with support to Sleep On It and appearances at Burn It Down Festival, Pop Punk Pile-Up, and MacMillan Fest.